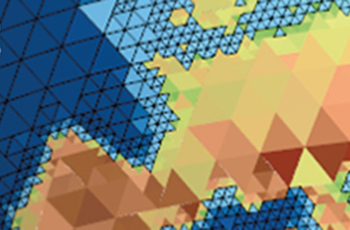 The annual International workshop on Multi-scale (Un)-structured-mesh numerical Modeling for coastal, shelf, and global ocean dynamic (IMUM) is being held from 11 to 14 September 2018 in Hamburg. This year's host and joint organizers of the meeting are the Alfred-Wegener-Institute for Polar and Marine Research (AWI) and the Max Planck Institute for Meteorology (MPI-M). The first workshop in this series was held in Louvain-la-Neuve, Belgium, in 2002. Since then, the IMUM annual workshops have become a premier forum for the developers and users of unstructured-mesh models. These models have gained much attraction because of their geometric flexibility and because their uniform coverage of the sphere allows a more efficient use of modern supercomputer architectures. At MPI-M the unstructured-mesh atmosphere and ocean models ICON-A and ICON-O have been developed, at AWI the unstructured ocean and sea-ice model FESOM. The topics of the workshop cover numerical methods, grid generation and vertical coordinates, multiphysics applications including coupling to biogeochemical, wave, or sediment transport models, and model validation studies. Over 60 scientists from 11 countries are taking part in the scientific exchange on state-of-the-art unstructured-mesh modelling of the ocean at multiple scales and recent leading edge developments. The next annual IMUM workshop will take place in the United States.